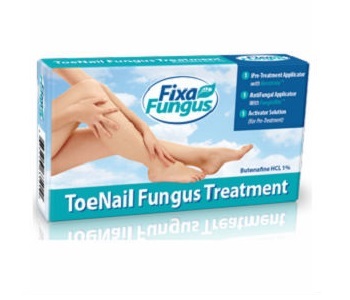 Welcome to this review of a product called FixFungus Toenail Fungus Treatment. We have the customer’s best interest at heart and know that they want a detailed description of a product before they make a purchase. They also want to know if the product works and that is what we intend to find out. 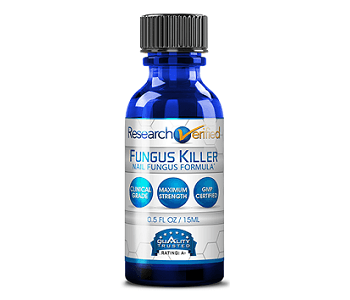 We have seen that FixaFungus formulated the product to eliminate the fungus that infects finger and toenails. The product is supposed to kill the fungus and prevent further bacteria from growing. The manufacturer has not stipulated the ingredients used in the product. The ingredients are crucial information that consumers need to know before they purchase a product. By omitting the ingredients, the manufacturer has not informed consumers of possible allergies. You always need to consult with a physician before using any product. We would not want you to experience any side effects after application. The manufacturer recommended that you first wash the affected area and make sure it is thoroughly dried. Then you need to mix the activator solution with powder in an inner chamber. After you use the product, allow it to dry. We have provided the basic usage while the manufacturer’s recommendation forces consumers to go through a long process before they can use the product. Consumers have to mix the product and do other inconvenient steps to use the product. You can purchase the product from the official website for $49.95. You will incur further charges for the shipping. The manufacturer has not offered a discount on the product. The manufacturer has offered a money-back guarantee for the product. You can return the product within 60 days of purchase if you are unsatisfied with the results. We tried to track down testimonials to get consumer feedback about the product, but it was not available. Since we have carefully scrutinized the product, we have gathered all the facts about the product that consumers are interested to find out. FixaFungus formulated the product to eliminate the fungus that infects finger and toenails. The product is supposed to kill the fungus and prevent further bacteria from growing. During our scrutiny, we came across several flaws in the product. For some odd reason, the manufacturer has not stipulated the ingredients. If consumers do not know what the product contains, how can they feel safe buying it as it may cause an allergic reaction? When you purchase the product, you will have to pay additional fees for the shipping since it is not included in the purchase price. We were disappointed to discover that the manufacturer has not offered a discount. One of our concerns about the product is that we could not find any customer testimonials. To get customer feedback about their experience of the product, we look to the testimonials. Since these are not available, we are uncertain that the product can provide results, making this product a gamble.